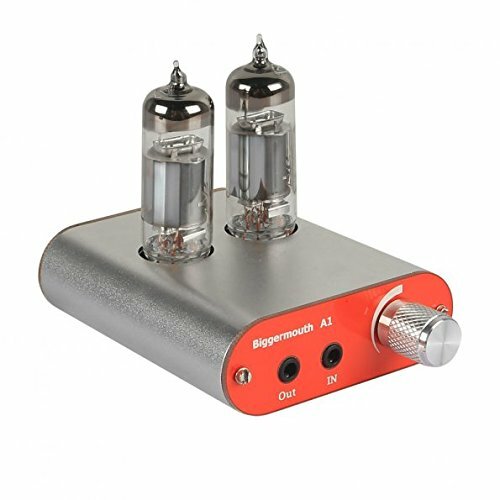 Tube headphone amplification devices (shortly, tube headphone amps) are compact variations of headphone amps. They often feature lamp-like tubes in their design which is the reason why they got such a name. Before we pit tube headphone amps versus the solid-state headphone amps, let’s take a step back. What are solid-state amps? We’ve already mentioned some of the best tube amp models, so you have a good idea of what they can do, but what are solid-state amps? Simply because it would be easier, let’s call “solid-state” amps “ordinary headphone amps”. The only reason why they’re scientifically called “solid-state” amps is because it’s easier to discern them from other types of headphone amp devices. “Rich” sound output – due to high harmonic distortion, the sound can be perceived as “rich”. 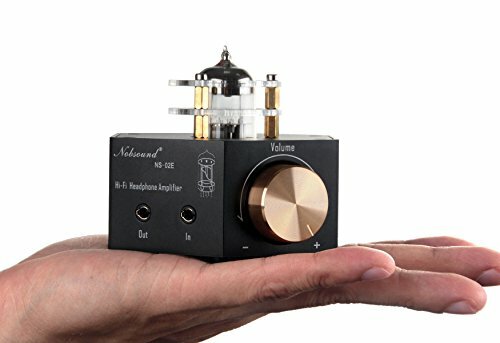 Nobsound offers only the best headphone amps, and NS-01E Mini Tube Headphone amp is a true representative of their quality. This little tube amp is incredibly small and compact, which you will find to be very useful if you need to take it on a trip. 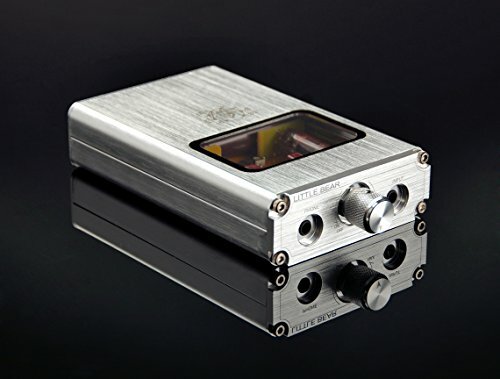 Nobsound’s NS-01E Mini tube amp is very durable as well – it features a special anodized aluminum chassis that can withstand quite a lot of punishment. It’s compatible with most phono preamps, smartphones, PCs, and iPods. It’s decently affordable for a tube amp, as it belongs to the “moderate” price point category. Just as you thought that NS-01E was amazing, we’ve come to the part when we will review it’s upgraded variant – the NS-02E. Basically, Nobsound NS-01E and NS-02E share a lot of similarities between themselves, but there are some small, but vital differences which compelled us to include the NS-01E’s younger brother in our review. 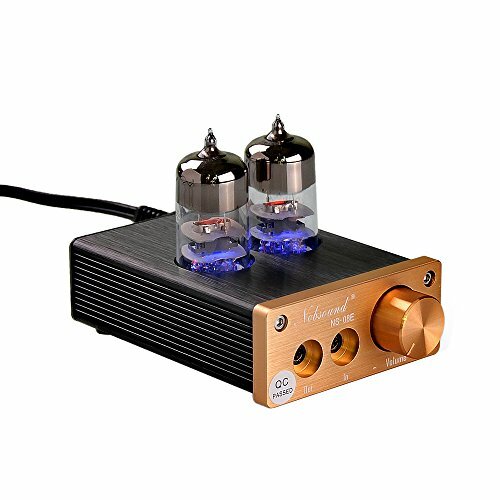 Simply put, this is a beautiful tube headphone amp that comes at a reasonable price. The performance of Nobsound NS-02E is unprecedented (for a budget tube headphone amp), as it easily delivers clear, full-spectrum sound, boosting it with ease along the way. Little Bear's B4 Portable tube headphone amp that comes equipped with various handy features. One of the mot important ones, though, is the internal battery protection feature. This protection circuit ensures unobstructed usage of electricity, reducing the risks of failure and potential harm. Basically, B4 is decently strong, but it's important to note that its forte is quick charge alongside with superior reliability. There's a LED indicator that will turn green once the headphone amp is fully charged. Apart from that, B4 features a magnificent failsafe mechanism that prevents it from turning on if the charger interface is still attached. It's decently affordable, even though it can't be considered as cheap. Even so, it holds an exquisite value for the cash. Monoprice Stereo Tube headphone amp is incredibly powerful class-Ab headphone amp. You can expect nothing short of perfection with the estimated harmonic distortion being under 0.1%. Furthermore, the Qualcomm Audio codec provides deep, clear streaming at a range of 20Hz – 20KHz. One of the best thing about this headphone amp is that you'll be able to use the latest Bluetooth 4.0 feature for streaming. Apart from that, this headphone amp features one stereo RCA input and one stereo RCA output. The only downfall is that it costs just a bit above average, but, if you can look past that, it's more than valuable for the cash. The next item in our review is another Nobsound tube headphone amp. This one is NS-08E, which belongs to the same series as the one we've just mentioned (NS-01E), but it's different in both design and performance. Just like it's predecessor, the NS-08E belongs to the "medium" price point category, but it offers easier sound customization due to premium-quality features. As for similarities, most Nobsound NS tube headphones feature only one input and output jack. Now, the good part is that you'll also get two vacuum tubes, and a single power supply as complementary features (apart from the headphone amplifier). All in all, this headphone amp boasts quite a value for the cash. 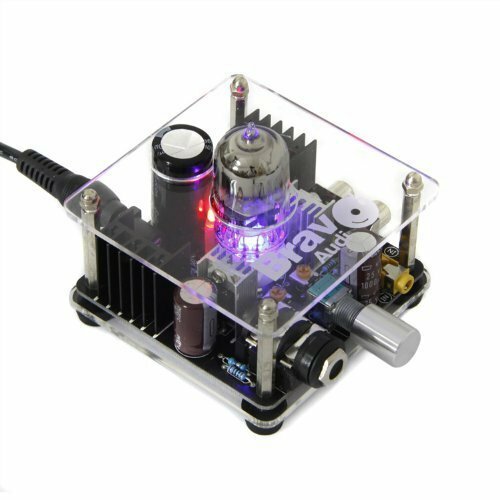 Bravo Audio has bought the attention of various music enthusiasts with their V1 tube headphone amp. 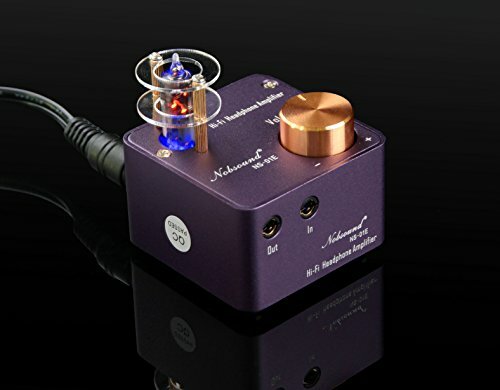 This marvelous class A headphone amp features brilliant performance and it's quite affordable. It features 100mV of input sensitivity and 24V of input power. The estimated impedance should be around 100 kOhm while the output impedance ranges from 20 to 600 Ohm. Bravo Audio V1 headphone amp is incredibly easy to use, and it belongs to the "medium" price point category, making it highly valuable for the cash. The EH6922 improved tube ensures superior stability in virtually all aspects, so there are practically no downfalls whatsoever. 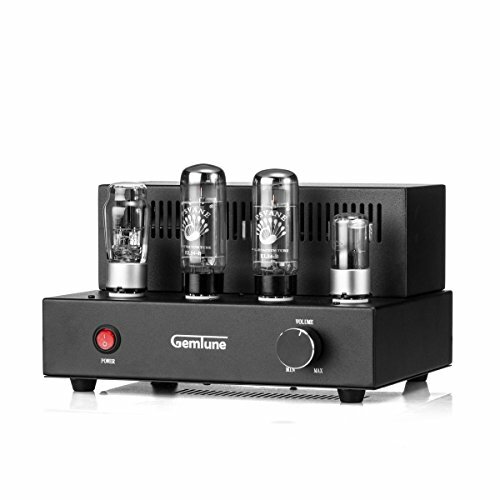 Gemtune's X-1 tube amp is, perhaps, the best tube headphone amp on the market. It features the upgraded EL34B PSVANE tube that provides exquisite balance and stability, and 5Z3P & 5U4G tubes. Furthermore, this headphone amp was handmade. This means that all the pieces and hardware were integrated into the construction with utmost precision and accuracy. Wrapping it up, this is a marvelous Class A tube headphone amp that simply can't compare to any other in terms of performance and reliability. The only downfall is that it comes at a high price, but it's well worth the cash. 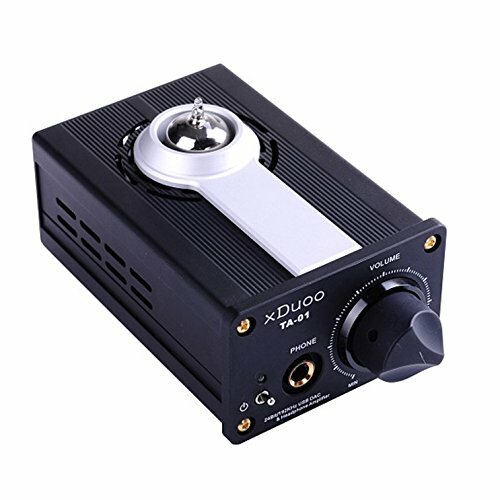 Plainly speaking, xDuoo's TA-01 tube headphone amp was specifically designed for practical use. It was constructed in a plain and straightforward way so that you can use it without having to worry about instructions. This headphone amp features XMOS chip for superior USB signal input and 3X clock design. You might notice that this isn't a regular tube headphone amp – it's a hybrid between DAC (DAC chip WM8740) and tube headphone amp. This means that it's more versatile, allowing you to use the DAC features when you need them, and headphone amp features when you simply want to enjoy your music. 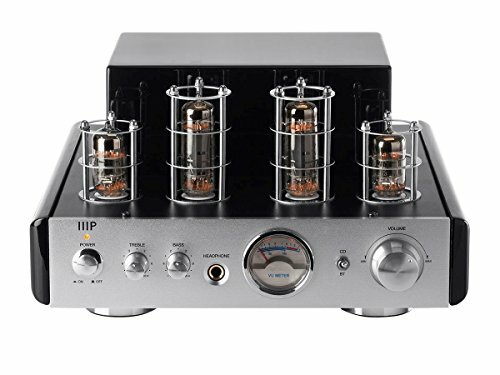 We've already reviewed one Monoprice tube headphone amp, and if you liked it, you're going to love 113194 tube amp. Basically, this is a less powerful variant of the two (the other features 50 watts of power while 113194 Basic features only 25 watts), which is more than enough to boost your headphone sound output. The design is comprised of a polished piano case and brushed aluminum face which exposes the tubes for easier maintenance. Apart from that, this tube headphone amp comes outfitted with the latest Bluetooth 4.0 feature that allows you to enjoy your music wirelessly. 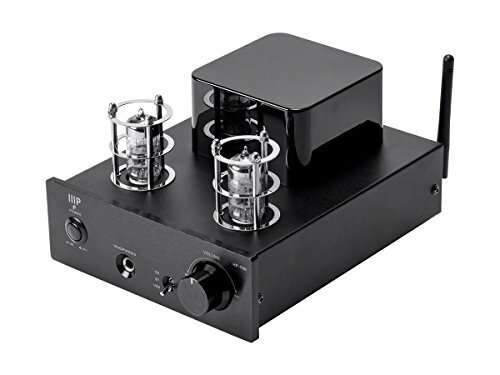 Monoprice 113194 25 Watt tube headphone amp is a class AB headphone amp which boasts superior versatility, majestic performance, and a set of awesome features. The only drawback is that it comes at a high price (which is easily compensated for with all the benefits and advantages, though). Last, but not least, we’re going to review SainSonic's 6J5 headphone amp. Basically, this tube amp is a budget variant that will best suit people who're looking for an amplification device without having to pay a fortune. The main reason why SainSonic's 6J5 headphone amp is so affordable is that it features a simple design. Paradoxically, this tube headphone amp excels in performance, as it's capable of providing full-spectrum sound and boost the tone of your headphones with ease. Overall, it holds a huge value for the cash. Final showdown – who's the winner? The bell has been rung, and it's time to decide the winner of this electronic slugfest. Now, it's hard to appoint the title to our combatants, as this pit fight was anything but smooth. Both tube amps and solid-state amps offer plenty of pros, but both come with their own set of flaws as well. Simply speaking, it's up to you – the user. If you want the rich, crispy sound, you will find it easy to declare tube amps as victor. However, if you're all about sound clarity, solid-state amps would be your best shot.